As a personal trainer, it’s vital to protect yourself and your clients against a range of incidents by taking out specialist insurance. Without this cover, you leave yourself open to risk and potentially costly compensation claims. Here’s an overview of the different types of cover a personal trainer can have. Public Liability protects your legal liability if a claim is made against you for injury to another person or property damage. For example, if you were training a client and they damaged equipment at a gym you’re training in, you could be held responsible and someone from the gym could make a claim against you. If the claim was successful, you could be required to pay compensation. That’s why Public Liability insurance is arguably the most important form of cover for personal trainers. In fact, such is the importance of Public Liability insurance for personal trainers, that most gyms and fitness centres won’t allow you to work on their premises without it. Self-employed fitness instructor Charlotte knows first-hand how important it is to have Public Liability insurance. Charlotte teaches body pump classes at a local health club and a short while ago, one of the participants dropped a barbell from above head height, causing significant damage to the studio floor. Thankfully, due to Charlotte being insured with Insure4Sport, her Public Liability insurance covered the participant’s damage. At Insure4Sport, we offer personal trainers specialist Public Liability insurance policy at the best possible price. When you take out Public Liability with us, you’ll get £1 million of Professional Indemnity insurance included for free. If you give advice to clients, you should have Professional Indemnity insurance. For example, a client could suffer a sprain or broken bone as a result of an exercise you’ve instructed and claim against you for their injuries. Professional Indemnity would cover your legal liability in this instance. Although most personal trainers just take out Public Liability insurance, you also need Personal Accident insurance in case you suffer injuries while training. After all, these injuries could be serious enough to keep you out of work for long periods of time. Personal Accident insurance covers all kinds of injuries, whether it’s relatively minor injuries which require physio, or more severe accidents which cause broken bones or permanent disablement. At Insure4Sport, we provide Personal Accident insurance to help cover the cost of physiotherapy or dental treatment you require for your injuries. This also includes compensation if you suffer accidental death, permanent disablement, loss of limbs or loss of sight following an accident during one of your sessions. If you take out Personal Accident insurance, we also offer optional Loss of Earnings cover for up to 52 weeks, to support you financially if your injuries mean you’re unable to work. How much does Personal Accident insurance cost for personal trainers? Our Personal Accident insurance costs as little as £1.13 a month for up to £10,000 of cover, rising to £1.88 a month for £50,000 of cover. This includes a 10% introductory discount for new customers. You need Sports Equipment insurance in case your equipment is lost, damaged or stolen. For example, if you transport your equipment to and from a fitness centre, someone could break into the boot of your locked car and steal your equipment. If you didn’t have the suitable cover, you would have to pay for replacements out of your own pocket. The same would apply if your equipment was damaged and you needed to get it repaired. That’s why we provide Sports Equipment insurance, to compensate you if your equipment is lost, stolen or damaged. What’s more, if it’s less than a year old, following a successful claim, it will be replaced on a new for old basis. How much does Sports Equipment insurance cost for personal trainers? This depends on the value of the equipment you’re looking to insure. Insure4Sport offers unlimited Sports Equipment insurance, with a maximum single item value of £2,500. If you employ other personal trainers, it’s a legal requirement to have Employers’ Liability insurance. If a personal trainer you employ got injured while working for you, they could hold you responsible, whether the incident took place on or off-site. As a result, you could be on the receiving end of a potentially costly compensation claim. Having Employers’ Liability insurance would mean that you were protected against claims like this and your business wouldn’t be affected. This depends on your wage bill across a number of areas, including clerical/managerial, coaches/instructors, players/participants and more. 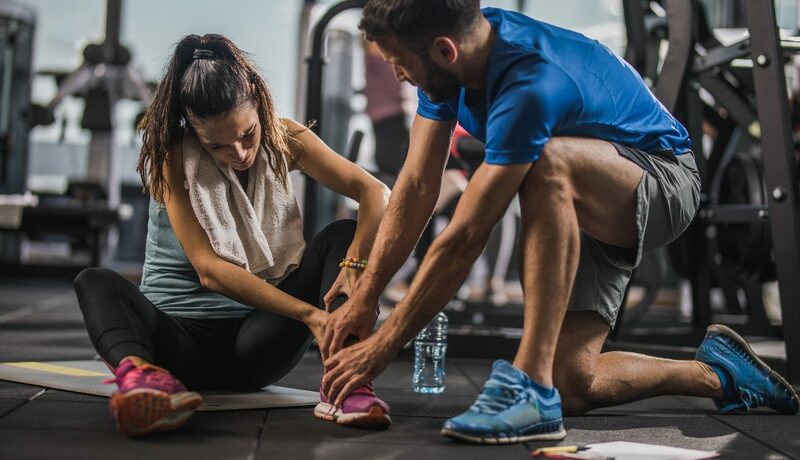 Find out how Insure4Sport’s personal trainer insurance can be tailored to suit you and get an instant online quote with us today. ← Previous post Personal Trainer: Top 5 Ways To Get New ClientsNext post → Inside Insure4Sport’s brand new website – bursting with awesome new features!